Hide deals from seller "Pop O Licious"
Hide deals from category "Gourmet Foods"
Limit 1 per person. Valid toward all products. Full value of Gift Certificate must be redeemed in 1 visit. Indulge in flavorful treats with 50% off a $20 Gift Certificate to Pop O Licious in Des Plaines and Arlington Heights. 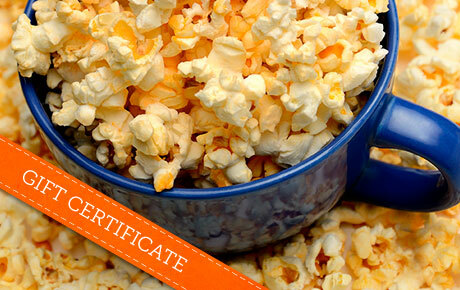 This gourmet popcorn shop offers fresh, flavored popcorn in dozens of fun and tasty flavors. Pop O Licious is a family-owned and operated shop dedicated to making the best gourmet popcorn around. They use fresh, natural ingredients and never use preservatives. Aside from traditional flavors like butter and cheddar, Pop O Licious offers a tantalizing array of unique flavors. Try the 5-alarm kettle for a spicy treat, or satisfy your sweet tooth with caramel apple or dark chocolate drizzle. Pop O Licious also sells more than 80 different styles of gift tins to celebrate everything from a birthday to your favorite sports team. You can also pick up cookies, chocolates and Italian ice at either of these fun and friendly shops. Gourmet popcorn retailer with locations in Des Plaines and Arlington Heights offering a wide variety of popcorn flavors and gifts.